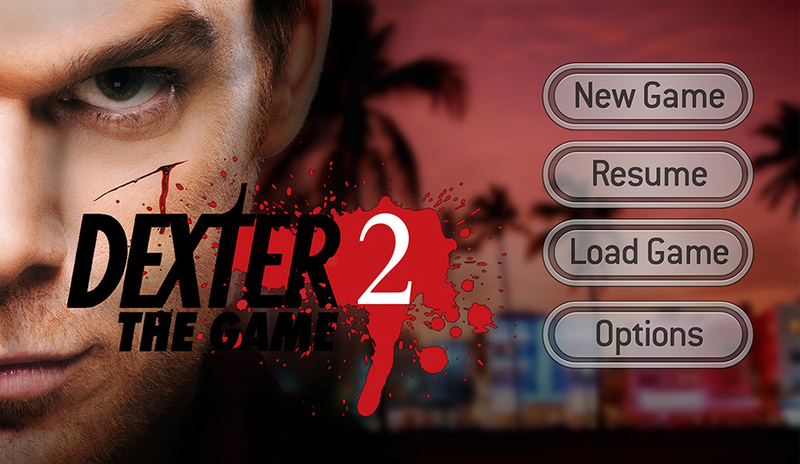 Media Elements LLC created all the 3D environment artwork for the Dexter the Game 2. This includes the Miami Downtown Area, South Beach, the Suburbs, Bay Biscayne area, and Marinas. There are three separate islands connected with bridges. We also created many little items that were needed to fill the environments (some of which are shown below). We were limited by polygon count (Tris) and texture resolution so that the game would run smoother on a mobile device. The quality of the 3D Models reflects this limitation. You can see by our samples below that we were able to do some very good work even with these limitations. We also created the UI designs for this game and they are also shown below. We first create some mood boards and once they were reviewed by the client and approved we created more detailed Photoshop drawings. The process of creating these drawings was done by reviewing a semi working demo of the game. All of the functionality and processes had to be worked out during the design process.